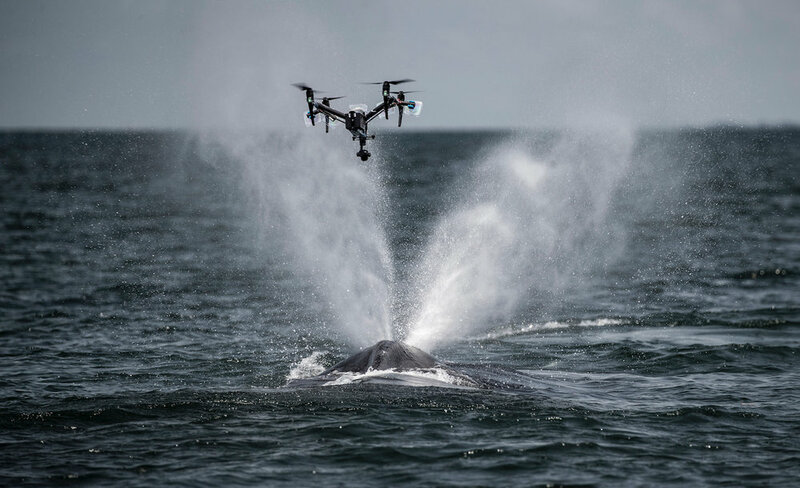 DroneBlocks and Ocean Alliance have partnered on development of the SnotBot App to improve whale conservation efforts. The SnotBot App allows Ocean Alliance pilots to see the source of wind direction while flying their DJI Inspire 2 drone. One of the most challenging aspects of capturing the blow (or snot) from whales is wind. Think of flying a drone way off in the distance without being able to determine the wind direction. The drone needs to be in the correct position to capture the blow, otherwise there will be a missed opportunity. The SnotBot App leverages the DJI SDK and sensor data from the drone to estimate wind direction. Our intent with this proof of concept is to improve the blow capture rate, which will lead to more productive whale conservation efforts. Watch the video below with Dr. Iain Kerr and Sir Patrick Stewart to gain an understanding of SnotBot’s impact. The DJI Inspire 2 is outfitted with custom petri dishes to capture the blow. The drone hovers in the air above a surfacing whale and collects the blow exhaled from its lungs. SnotBot then returns that sample back to researchers a significant distance away. Be sure to scroll down to see photos and a video of SnotBot in action. The SnotBot App is open source and available in this Github repository. DroneBlocks and Ocean Alliance both believe in making this work available to the masses. 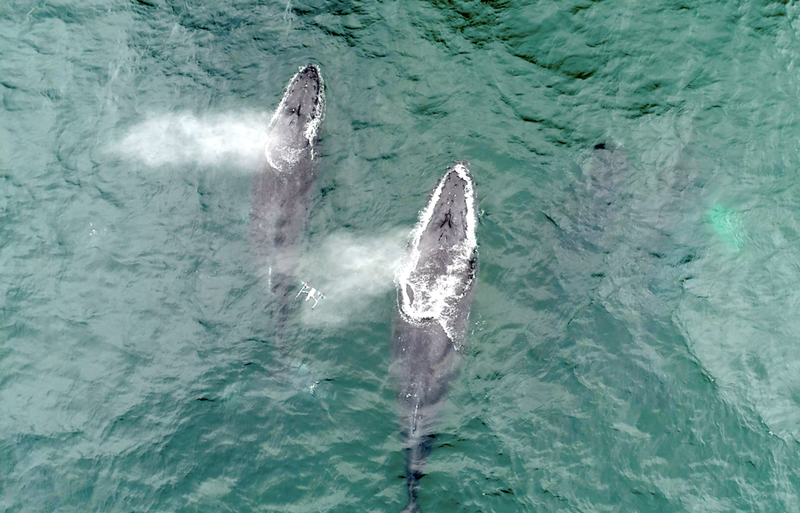 Given that drone technology is improving and prices are dropping, it’s feasible that one day the hardware and software can be accessible to anyone interested in pursuing this non-invasive method of monitoring whales. After Ocean Alliance has completed beta testing and logged their results we will be publishing a DroneBlocks course that covers this project in more detail. This will include an overview of the problem, as well as the technical components of how we achieved a solution. Take a close look at the video and photos below to see SnotBot in action.